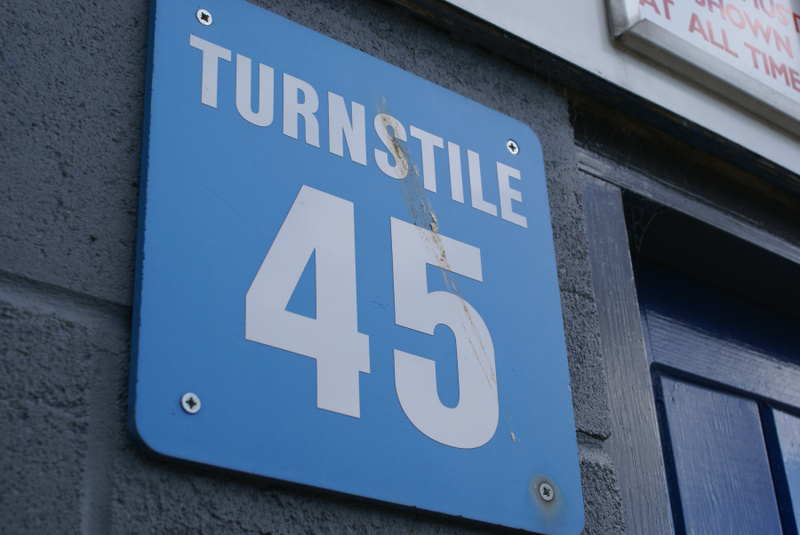 We’re very pleased to be able to post Dave Gooderham‘s reflections on recent off-field events at ITFC. 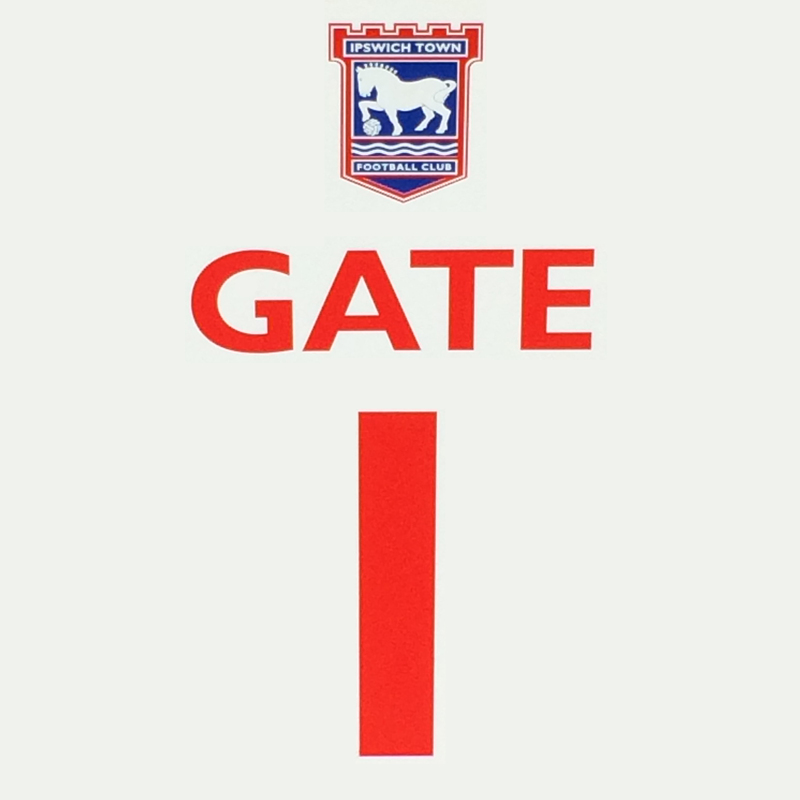 At the end of this year, I will have supported Ipswich Town for 20 years. Man and boy, good knees and bad. I have my dear old Dad to thank for taking me regularly to Portman Road, first to see the likes of a young Ryan Giggs and Ian Wright and then, as I started going solo, to become more interested in Eddie Youds, Bontcho Guenchev et al. In the subsequent 20 years, my Dad’s interest football has drifted, Giggs has gone on and on while my love of football, as a whole, has remained. I am desperately trying to keep hold of that love, for my own sake and that of my two young boys, but it has grown increasingly hard in recent times. Not for the first time, the last few days at Portman Road has encapsulated everything that is good and bad around the game. I don’t need to go into details – and in some cases, i.e. the court variety, I can’t. But having two players facing criminal charges within days of each other is terrible PR for any organisation. For a team-mate, step forward Michael Chopra, to then get involved with a Facebook rant is ill-advised at best. A few people on Twitter suggested it showed the right kind of team spirit – defending your mates, that sort of thing. 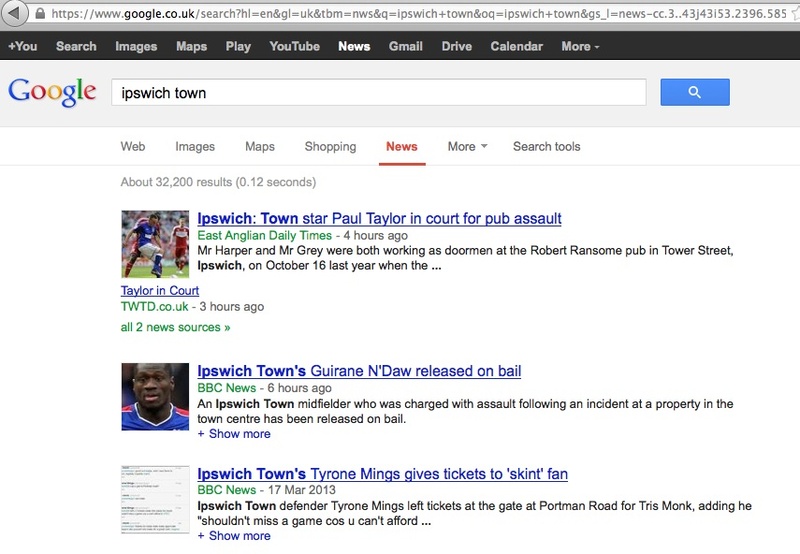 I should stress that both Paul Taylor and Guirane N’Daw are currently not guilty of anything. But Michael, sometimes saying nothing is the best, nay the only, course of action. But all is not lost at IP1. Step forward Tyrone Mings. Someone I had never heard of at the start of the season. Someone who I thought would be able to play in the FA Cup Third Round for Ipswich because I didn’t even know he had played for Yate Town before signing for Chippenham Town. But everyone now knows Mings’ name because of a simple, and all-too-rare, act of generosity. A fan casually says on Twitter he can’t afford a tickets for the match against Bolton at the weekend so Mings offers him a complimentary ones. He is new to the professional game but the left-sided 20 year old’s gesture had an old-fashioned edge to it, a nod to when first-team footballers and loyal fans were one. 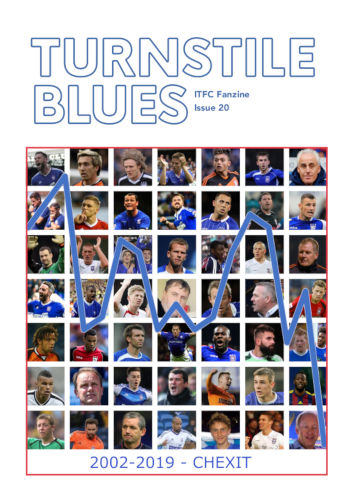 A week or so ago, I was asked by the esteemed editor of Turnstile Blues whether I would like to write something about ITFC. I admitted at the time, I was a little devoid of inspiration. But after a hiatus of just 61 days since leaving the good ship EADT/Ipswich Star, recent events at Portman Road have now compelled me to write about role models. On Saturday, I asked a nine-year-old Town fan who his favourite player was – and he was lost for words. He seemingly didn’t have one. There are some very good people currently in the first-team, but there are not enough players who connect with supporters for the right reasons. This is nothing exceptional with Ipswich. It is a sad trait running throughout football. Has the game become so big and the distance between players and fans so huge that the majority of footballers are no longer role models? That their lives spent with too much free-time in stupendous luxury means they simply can’t connect with the ordinary fan on the street? Possibly. When I told my Town-supporting mate why I was picking up my pen again, he said many footballers don’t know how to act as role models because of a lack of education – that they spend too much of their formative years on a training pitch rather than a classroom. Good point. Supporters also have a role to play in this as well. We all see, in virtually every match, some act of vulgarity arising from the terraces and directed at a man simply doing his job. Yes many footballers get paid a good living, but that still doesn’t mean he should be subjected to a torrent of abuse on a weekly basis. Then there are those fans who will excuse bad behaviour off-the-pitch as long as their man in blue is doing the business on it. Some might think I’m being too harsh. Town players will congregate outside the reception, post-match, to sign autographs and pose for pictures. But that one act doesn’t make them role models. Whether they like it or not, how they behave in their down-time in all manner of ways, is what really sets them apart. Should they even see themselves as role models? I still maintain yes, if only because of the vast number of young fans who look up to them and want to be just like them. So where does that leave us? Are role models in football becoming an increasing rarity in the modern game? Am I being too fanciful to even hope they still exist in great numbers? I fear that it might be the case and that I can see why my Dad partly turned his back on the game he helped me fall in love with. But there remains hope. Right now, I would be delighted if my son one day says he wants a Town shirt with number 15 on it. Tyrone Mings, you should be very proud. Great article. Completely agree that it is a two way thing. Footballers are role-models, whether they like it or not children will look up to them and try to emulate them (although I think it’s a small price to pay for a doing a job that you probably love) but at the same time, why should footballers have to endure vitriol from supporters just because they happen to earn a bit more and are an easy target? Indeed. Could do with there being a bit more respect all round really. Do you think the ever changing line-up at Portmand Road is part of the reason for the nine-year-old fan not having a favourite player? The players do carry out community engagements, where they get to meet young fans. But with such a high-turnover of players, how many fans get to meet a player and then see him play? Personally, I feel respect has to be earned, and not just assumed. As James says, footballers are role-models whether they like it or not, and I believe they need to live up to that status. Thanks! I agree with you. I have trouble keeping up with who’s in our squad these days, must be really tough for a child. Players do a lot of good things in the community and that should always be pointed out but, unfortunately, it’s the court appearances that hit the headlines. Also completely agree about your point about role models.